Louise's meditation visualizes a world where it's safe to grow and love each other without fear. She stresses the importance of loving your inner child, and her vision of the world as a secure, loving place will help give you the confidence and power to make your own contribution to a productive and caring society. There are two meditation in this audio book. The first is a beautiful guided meditation to help heal your inner child and let go of fear. It is a way to imagine a better world and a more peaceful planet. Great way to relax and let go of stress. Combined with long slow deep breathing this is a really helpful meditation to relax your body. I felt that the relaxed state I was in after listening to this stayed with me for several hours afterward. The flute music in the background was very soothing. The second meditation is a series of positive affirmations that helps let go of negative emotions and tapes that we have playing in our heads and replace them with soft soothing words that all you to let go of the pain an turmoil that we have experienced. 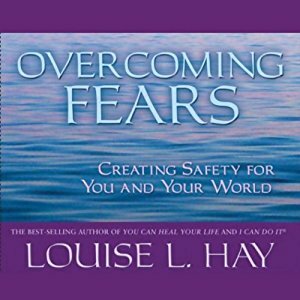 It may take a few listens to buy into her theory but I have been working with Louise Hay's work for a long time and have found it immensely helpful and healing. I may listen to this daily for a week and see what kind of changes come about.